Here is a new Lairds track. It was primarily recorded using Maschine, then beaten into shape with various production baseball bats in Logic. I put these together a while ago. They’re a set of Komplete instrument icons suitable for putting into Logic so that you can highlight which tracks include Komplete instruments. For details on how to use the icons, please see Toby Pitman’s nice tutorial. 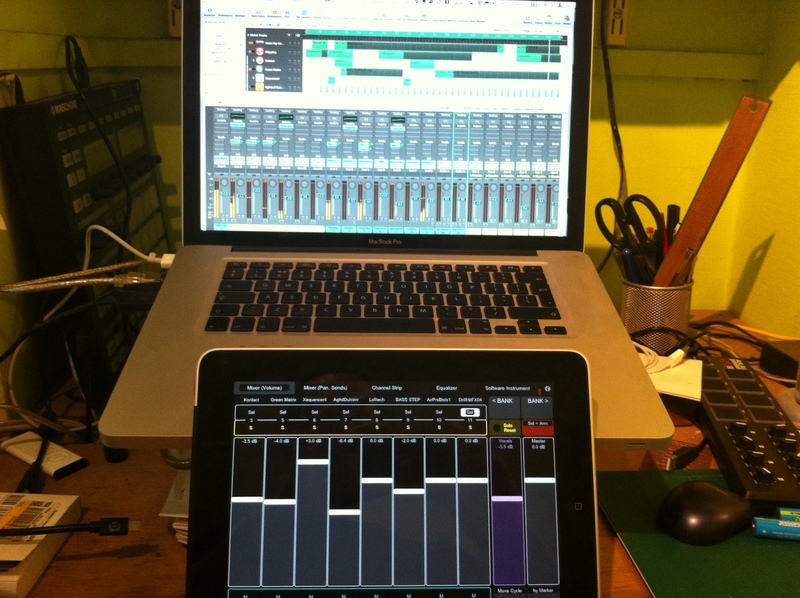 Yet another genius addition to my iPad music apps – a controller for Logic Pro. Not content with having some superb instrument and music making apps – Funkbox, technoBox, ReBirth, Beatmaker and GarageBand – the iPad is now able to act as a proper controller for big time, proper music software. TouchOSC is a fantastic piece of software that costs £2.99 and puts many physical controllers to shame. I was a little dubious at first, what with reading 3 page tutorials that explained that I could link this to Logic if only I downloaded some software and spent the length of a bible configuring things. However, I needn’t have worried as the latest update has a great Logic template built right in. So it was a case of boot up, have Logic ask me whether I wanted to use my iPad to control it (which was nice), saying yes and jumping right in. Using it really does enhance the workflow, adding a tactile dimension to the mixing that using a mouse simply doesn’t and the depth and scope of the Logic template is astonishing. You can drill right down into not only channel inserts, but individual software instruments, although with the latter the actual elements being controlled can be a little hit and miss. I found it worked on a variety of Logic software instruments as well as a host of Native Instruments software instruments like Battery, Kontakt, Absynth and Reaktor. The only challenge is discovering what the individual faders and dials actually do. And that’s the fun part. Now with added modulated bass elements. A revised version of this tune. You can use the playlist element of the player to switch between the two versions of the tune. Latest demo tune, all one minute of it.